Book your trip online with Loulou Bateaux to benefit from special Internet discounts. Pass beneath Pont d'Arc and enjoy a family swim. Depart direct from our landing stage whenever you want between 8 am and 4 pm. Select the time of your return. The perfect trip for discovering Ardèche with the family. 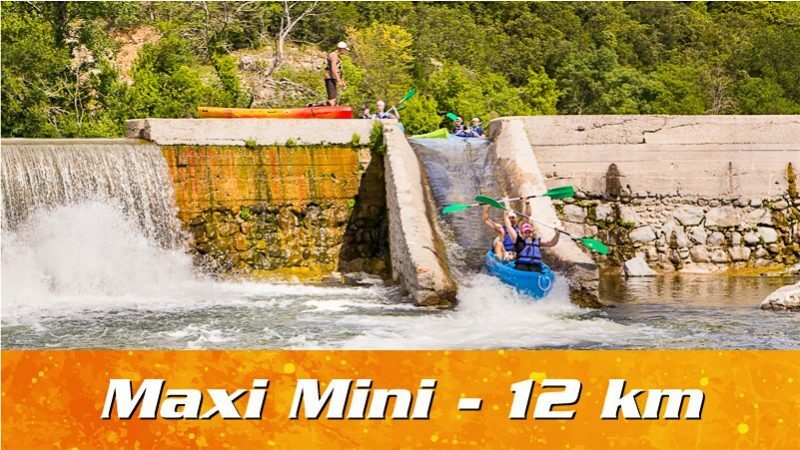 Treat yourself to some thrills with the four canoe slides between Sampzon and Vallon-Pont-d'Arc. The perfect trip for discovering Ardèche as a family. You have the choice between these four times: 9 am – 10.30 am – 12 pm – 1.30 pm. Your trip starts at the entrance to the nature reserve for 24 km of exceptional landscapes. 5 departure times are available to take you to the starting point in Chames: 8.30 am – 9 am – 9.30 am – 10.00 am – 10.30 am. No need to worry about transport: our shuttle serve takes you to the starting point and ensures your return from the Sauze landing stage. Pass beneath the famous natural archway before entering the Ardèche Gorges. 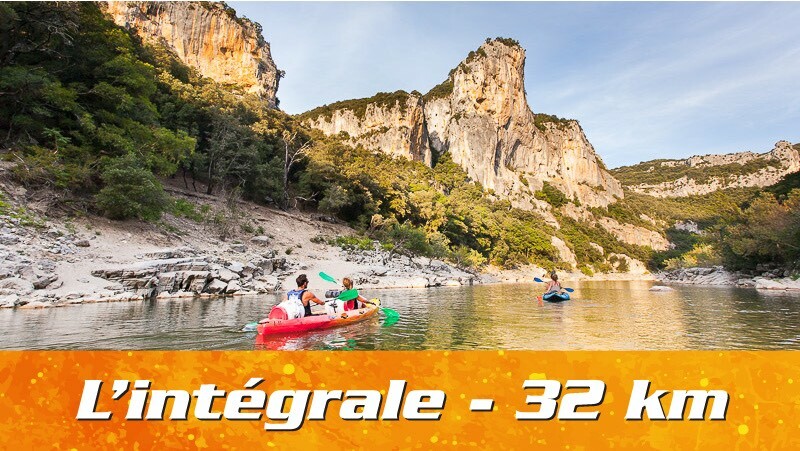 Canoe through the Ardèche Gorges nature reserve and discover these incredible landscapes. No shuttle or transfer service to the starting point. 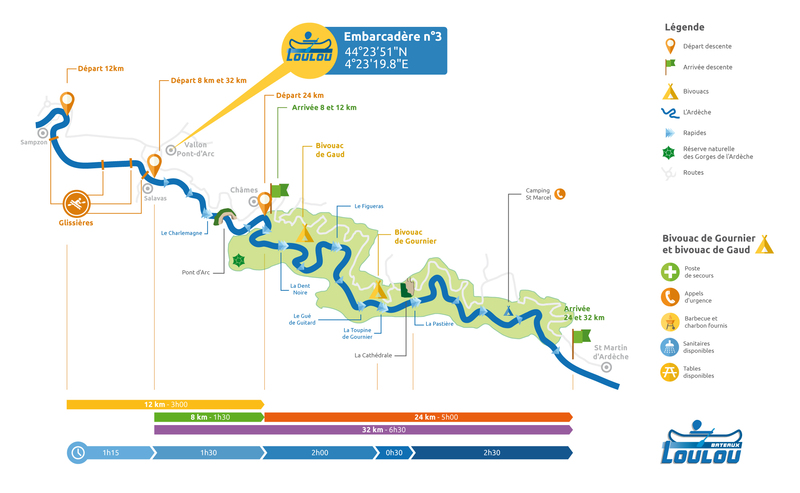 Start direct from our landing stage in Vallon-pont-d'Arc. The package for adventurers! 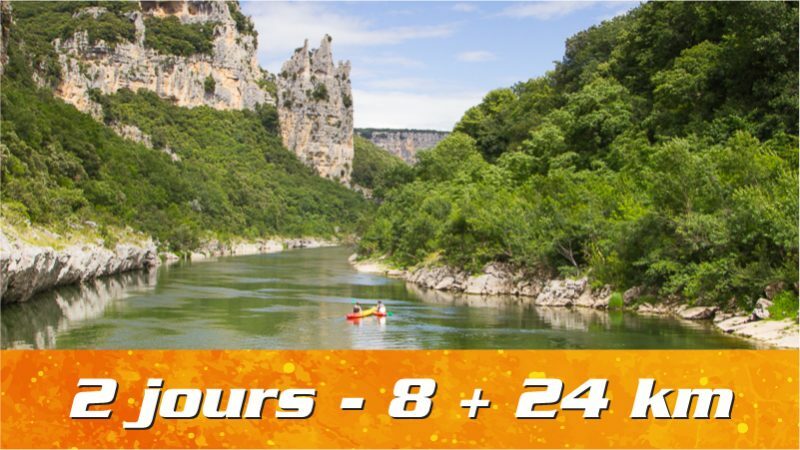 Spend two days left to your own devices in the Ardèche Gorges nature reserve. 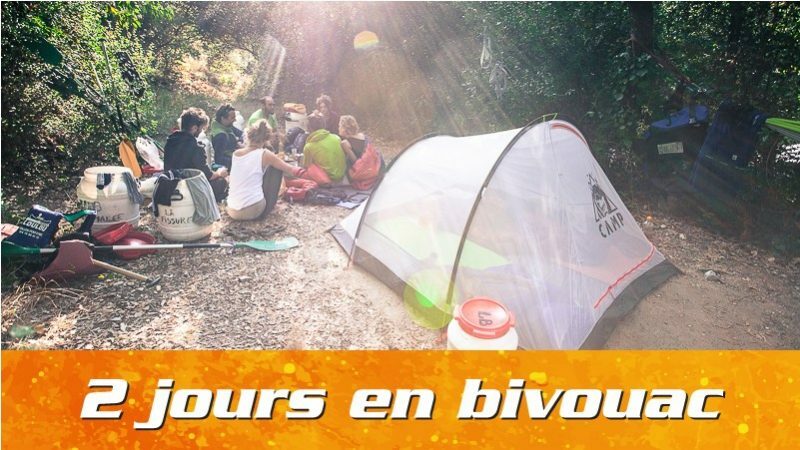 Book your night with the Syndicat des Gorges de l'Ardèche and spend the night at one of the two authorised bivouac areas. Our shuttles will be waiting for your when you arrive to bring you back to the landing stage at Vallon-Pont-d'Arc. 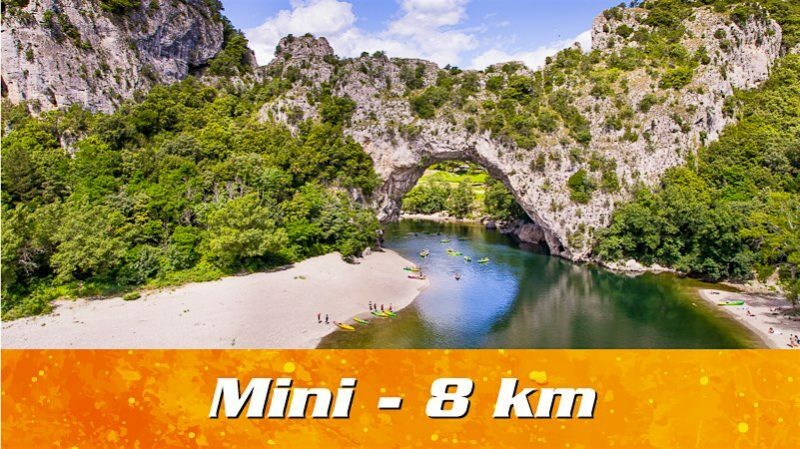 Descend the Ardèche Gorges in two days with a stopover half-way. After the first day, spend the night in the accommodation of your choice. We take you to and collect you from the different stopovers along your trip. 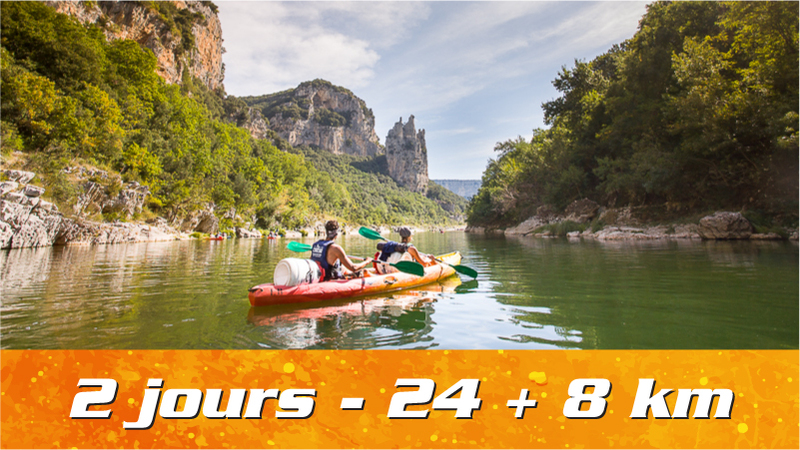 Enjoy 2 days canoeing on the Ardèche: complete the 8 km trip on the first day and the 24 km trip on the second day. Complete the 24 km trip on the first day and the Mini-Descent on the second day. 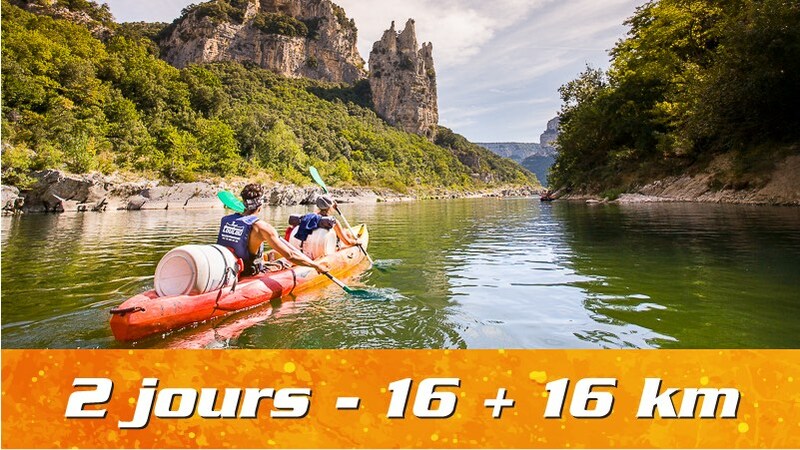 Based in Vallon-Pont-d’Arc for more than 40 years, Loulou Bateaux offers a range of sports activities in Ardèche: a canoe trip down the Ardèche Gorges, canyoning, potholing, rock climbing, mountain biking, via ferrata and a giant abseiling site in the heart of the Ardèche Gorges. 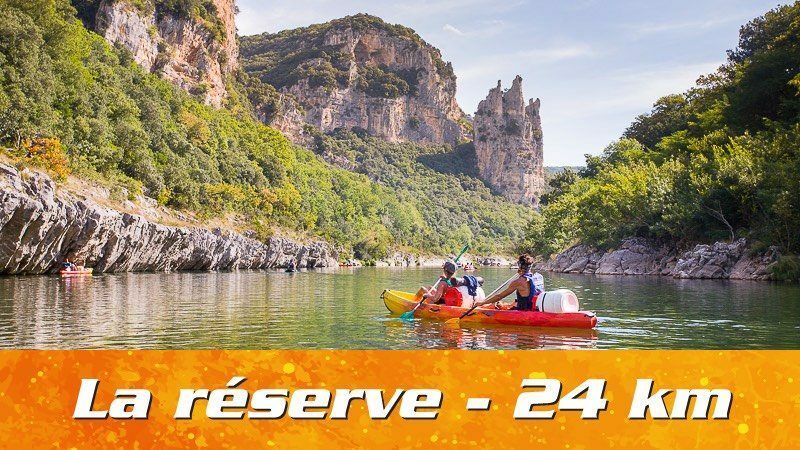 A canoe trip along the Ardèche is a must with family or friends, whether for a half-day, a full-day or over two days for the more adventurous. Beginners will be able to enjoy the landscape in our unsinkable and self-bailing canoes (single or two-seaters), which are easy to use and perfectly suited to recreational canoeing. People wishing to enjoy traditional canoeing may use an open canoe with a single paddle and dog owners will appreciate the large volume offered by these vessels.